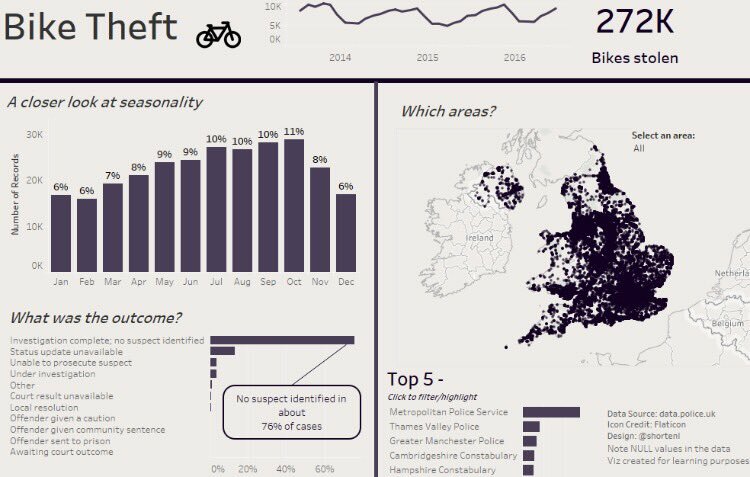 I bought four bikes in the last couple of months, so when I ran across a visualisation about stolen bikes in the UK, I had to open it up to everyone. 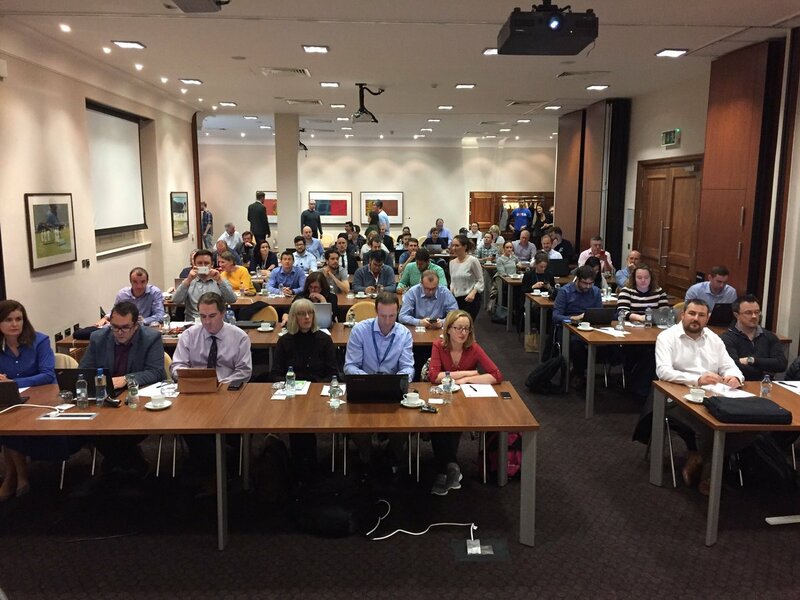 In addition to lots of interesting visualisations this week, we also hosted another Makeover Monday Live; this week we were in Dublin, Ireland with about 75 other Tableau enthusiasts at the Dublin TUG hosted by The Information Lab Ireland. Admittedly, this has been a crazy busy week for me. Between Alteryx Inspire Europe, prepping for the Dublin TUG and doing analysis on Gaelic football, I simply ran out of time and didn’t get to take notes about lessons learned throughout the week. However, I would like to share one. My original visualisation contained this map of bikes stolen by police area. I outlined in my blog post that I used a log scale on color to account for the dramatic scaling that London brings into the mix. However, I really shouldn’t have done this. 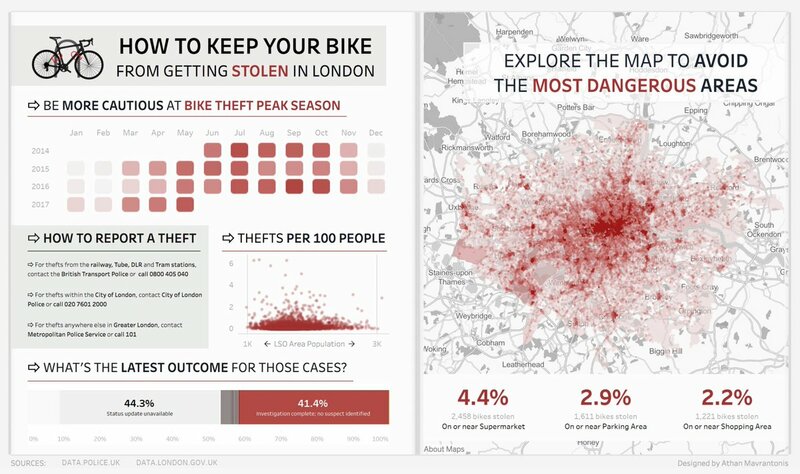 As a commenter on my blog pointed out, it would have been way better to show bikes stolen per capita and I couldn’t agree more. 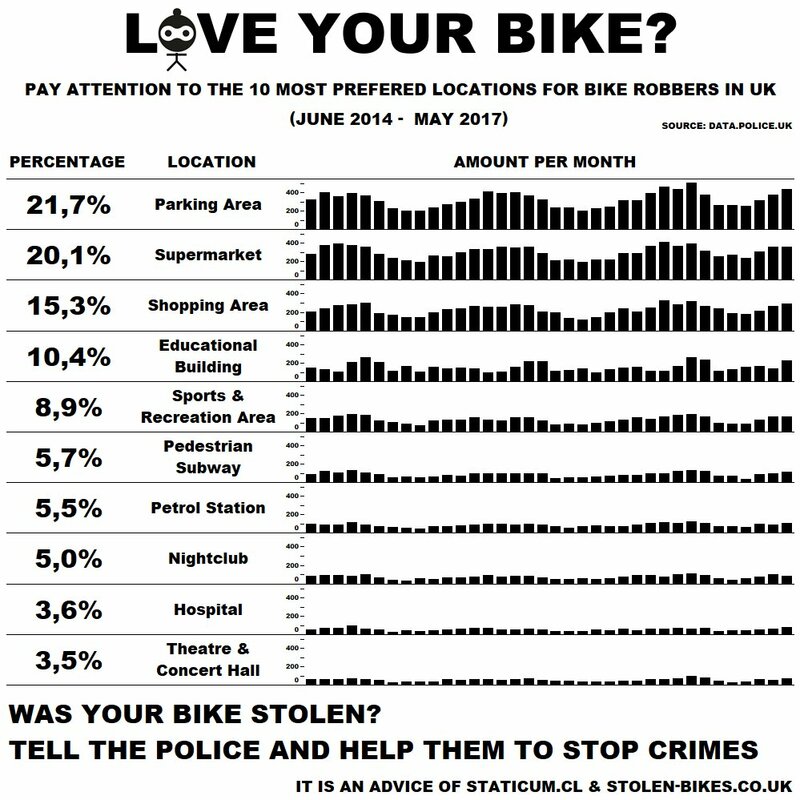 Looking at bikes stolen per capita lets an individual know much better how much THEY are at risk. I went to the ONS website and found population estimates by police area and this is how the map look now. Quite a difference and the story is much different. I must note that I removed City of London from the map because no one lives there so they numbers are outrageously skewed if I include it. 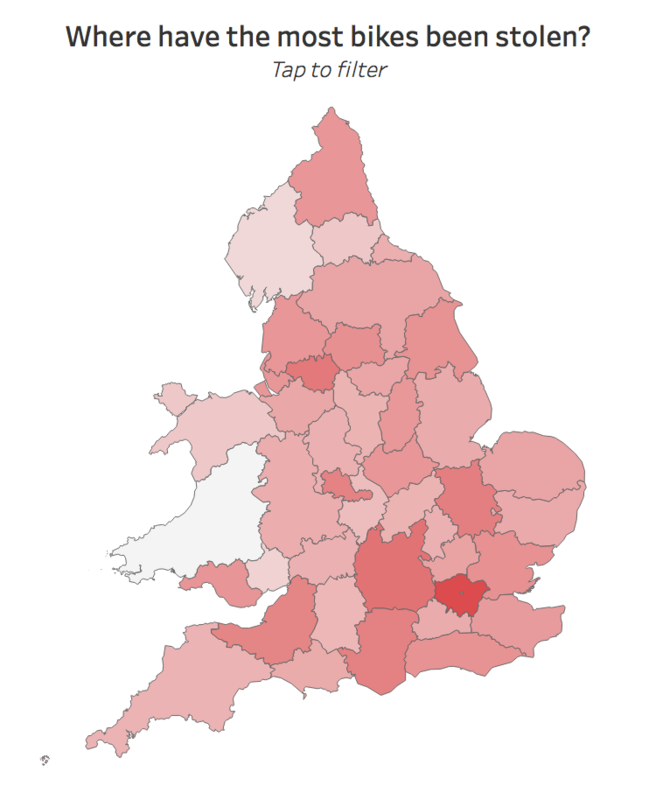 What sticks out now is that Cambridgeshire is the hotspot for bike theft. The lesson is clear: when you can include context, do so. With that, let’s get onto my favorites for week 37. Louise created this beautiful viz in under an hour under the pressure of Makeover Monday Live, then presented it to 75 people. Rockstar! Athan’s designs are always so beautiful and engaging!